Heavy Sweetness, Ash-like Frost: In ancient times, the Flower Goddess dies after giving birth to a daughter. Before she passed, she fed her daughter the Unfeeling Pill, ordered her subordinates to keep the girl’s birth story a secret and to imprison her within Shui Jing for 10,000 years. The girl’s name is Jin Mi. 4,000 years later, the Heavenly Emperor’s second son, Xu Feng, was entrapped by someone and mistakenly entered Shui Jing. He was saved by the ignorant Jin Mi. 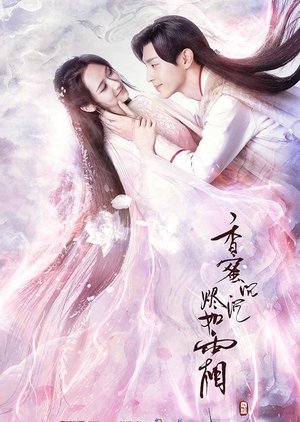 After living together for 100 years, Xu Feng gradually developed feelings for Jin Mi. Someone close to them wants to use those feelings for their own benefit.